San Juan, officially Municipio de la Ciudad Capital San Juan Bautista (Municipality of the Capital City, Saint John the Baptist), is the capital and most populous municipality in Puerto Rico, an unincorporated territory of the United States. As of the 2010 census, it had a population of 395,326 making it the 46th-largest city under the jurisdiction of the United States. 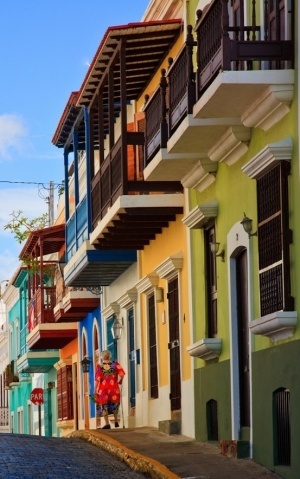 San Juan was founded by Spanish colonists in 1521, who called it Ciudad de Puerto Rico ("Rich Port City"). Puerto Rico's capital is the second oldest European-established city in the Americas, after Santo Domingo, in the Dominican Republic. Several historical buildings are located in San Juan; among the most notable are the city's former defensive forts, Fort San Felipe del Morro and Fort San Cristóbal, and La Fortaleza, the oldest executive mansion in continuous use in the Americas.